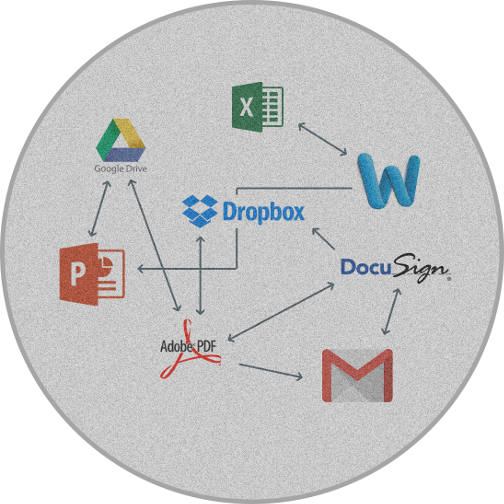 Create, deliver, and track your sales documents in minutes. Save time and close more deals. Calculate the Time, Money, and Headaches you'll save by switching to Proposable. On average, our customers save 30 minutes per proposal created, and $20/mo per salesperson in license fees when they simplify their proposal process with Proposable. Move your team past the messy document and spreadsheet proposal workflow of the past to the all-in-one proposal software of the future. 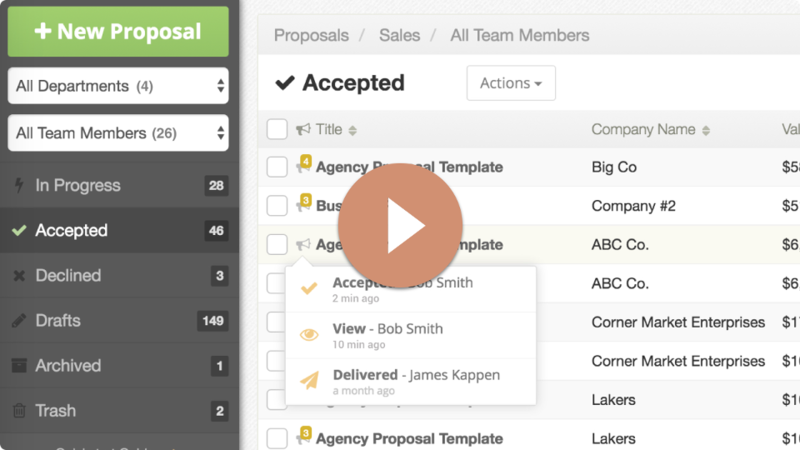 Create, deliver, and track all your sales proposals from any browser. Communicate and negotiate with prospects directly inside each proposal, then close deals instantly with built-in electronic signatures. Isn’t it time for a smarter sales proposal process? Keep your team on the same page with a central sales content library and pricing catalog that's easily shared and accessed by team members through role-based permissions. 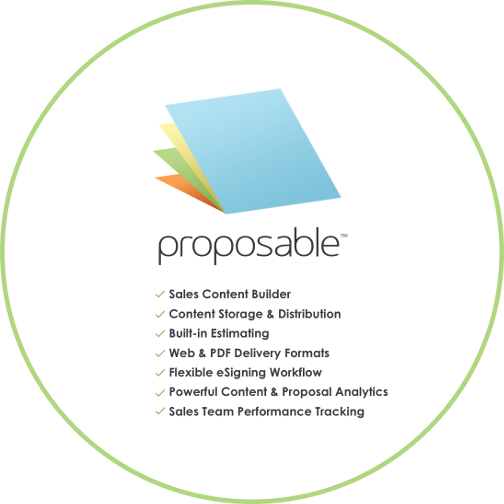 Proposable's 3-step proposal creation and delivery process is lightning-fast and will save your team hours of frustration per week. Has your prospect viewed your proposal? If so, how long did they spend? What sections were they most interested in? Know this and more instantly with realtime text and email event notifications and detailed proposal analytics. Always know what sales content is engaging your prospects and what they are really interested in. "Proposal creation time has greatly decreased, and proposal quality and prospect responses are sky-high! As a sales manager, I love the Team Stats feature which gives me important real-time info and fosters competition among our sales team." Ready to Love Your Sales Proposals?